Last week we sailed on the R/V Acadiana to C6C to de-winterize the SONDE attachments only to be stymied by a jack-up rig and increasingly bad sea state. We sailed for three hours, and when we arrived, the water was calm enough to dive, so we suited up. With the first team of divers literally standing on the transom to jump in, a jack-up rig radioed for us to wait so they could post up near our dive site. We waited for two hours on station (incidentally, we could have completed everything we needed to do in that time), with 10-15 kt wind on the water for the duration, and when the first team finally splashed, the sea state was trash. Dive Safety Officer Lora Pride called it all off. These things happen. But there were some good photos, and a video of the scene out there at C6C before we got stopped, so I thought I’d post them. We’ll be out again soon. The LUMCON docks at 0 dark 30. 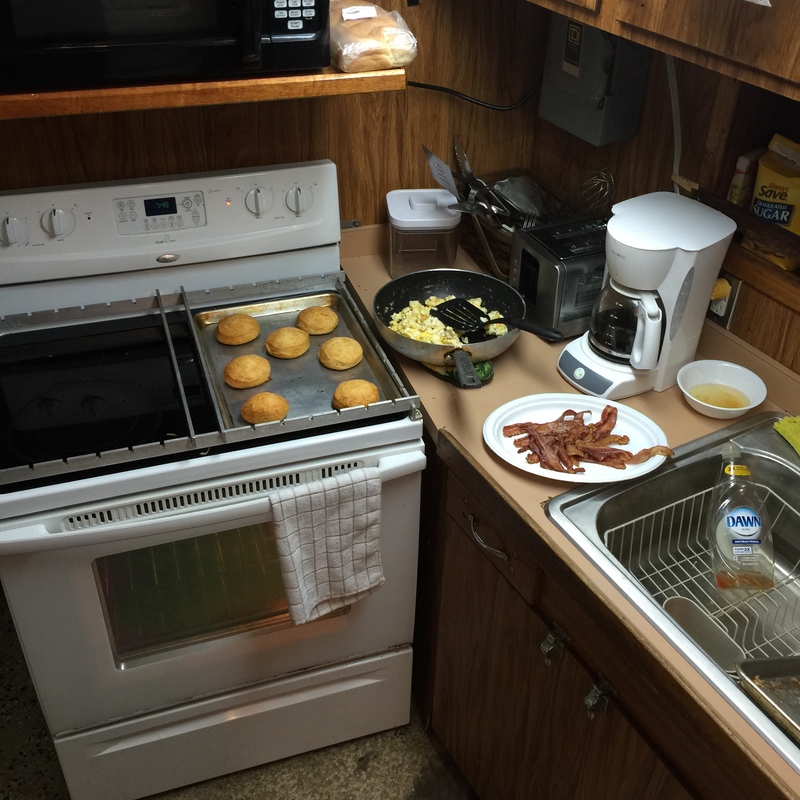 Breakfast on the ship- a major perk of the Acadiana! Here you’ll see some video of one of the many service helicopters that land on the rig and some of us getting ready on the back of the Acadiana. The sea state is relatively calm at this point, so it would have been perfect timing to dive.